American sounding rocket. The Viking sounding rocket, originally code-named Neptune, was conceived in 1945 by the US Naval Research Laboratory (NRL) as having the same altitude capability as the V-2 but only one third the mass. Martin was given the contract to develop the rocket, and Reaction Motors the engine. The advanced design featured a gimbaled pump-fed engine, a fuel tank integral with the fuselage. All rockets would be static-tested and certified before launch. The first launch was on 3 May 1949. Viking was abandoned in 1954 as too expensive, but Martin's experience on the design led to the first stage of the Vanguard orbital launch vehicle and the Titan ICBM. AKA: RTV-N-12;Viking;Viking Model I. Status: Retired 1957. First Launch: 1949-05-03. Last Launch: 1951-08-07. Number: 7 . Payload: 230 kg (500 lb). Thrust: 93.00 kN (20,907 lbf). Gross mass: 4,500 kg (9,900 lb). Height: 14.90 m (48.80 ft). Diameter: 0.81 m (2.65 ft). Span: 2.80 m (9.10 ft). Apogee: 200 km (120 mi). Back in December 1945 when the NRL Rocket-Sonde Research Branch was taking its first steps, the engineers in this embryonic organization had planned to build their own research rockets. The availability of the V-2s only delayed these plans. At the beginning of their search for the best rocket, NRL engineers C. H. Smith and Milton Rosen set a performance goal of 227 kg (500 lb) of payload at roughly 160 km (100 ml). They reasoned that some experimenters might be satisfied with the 45-kg (100-lb) payloads of the Aerobees then under development but that others needed something closer to the V-2 ton-size payloads. The rocket design finally selected was therefore much larger than the Aerobees on the drawing boards and understandably bore considerable resemblance to the V-2. While the Aerobee received its technical direction from APL (the Laboratory was supported largely by Navy funds), NRL took charge of the Viking. The Navy was the key Government agency in sounding rocket development, although the Army and Air Force did play their roles, as mentioned in connection with the Wac Corporal and Aerobee-Hi. The two major contractors on the Viking were Glenn L. Martin Co., which won the competition for the prime contract in August 1946, and Reaction Motors, Inc., which built the rocket engine under a separate contract from the Navy's Bureau of Aeronautics. Program direction at NRL was originally by C. H. Smith, under E. H. Krause; but in the fall of 1947, both Krause and Smith left to work on another project. Their places were taken by Homer E. Newell, Jr., and Milton W. Rosen, respectively. The original Martin contract called for 10 Vikings. Altogether, 14 were built, with the last 2 assigned to tests in the Vanguard Earth-satellite program. There were many minor variations from vehicle to vehicle, but two major varieties are recognized: the type 7 and the type 9 Vikings. All rockets of type 7 were about 15 m (49 ft) high and weighed about 4500 kg (almost 5 tons) loaded. In contrast, the type 9 Viking was shorter (about 13 m (42 ft)) and much squatter; it was 50 percent heavier and could carry 450 kg (1000 lb) to 254 km (158 mi). In fact, the type 9 Viking looked less like a sounding rocket and more like a military missile. At one time, thought was actually given to converting the Viking to a submarine-launched missile. Viking 1 was fired from White Sands on May 3, 1949; the 12th, the last of the sounding rockets, left its launch pad on February 4, 1955. Two particularly interesting launches were Viking 4, which was fired from the deck of the U.S.S. Norton Sound in the Pacific (Project Reach) and Viking 8, which broke away from its moorings during a supposed static test firing on June 6, 1952. It landed on the desert 8 km (5 mi) away. The Vikings transported a great many experiments into the upper atmosphere and above - 254.3 km (158 mi) up for Viking 11 on May 24, 1954. They also took impressive high-altitude photographs of the Earth. But the Viking was too expensive and required too many ground personnel and facilities to make a practical sounding rocket. The most significant contributions from the Viking program were in technology. The Viking pioneered the gimbaled engine and paved the way for the Vanguard program with its first-stage powerplant. Payload: 230 kg (500 lb) to a 200 km altitude. More at: Viking sounding rocket. Viking Type 9 American sounding rocket. Increased-diameter version of the basic Viking. Country: USA. Engines: LR10. Launch Sites: White Sands LC33, White Sands. Stages: Viking-1. Agency: Martin. Bibliography: 17, 2, 378, 563. 1946 October 1 - . Launch Vehicle: Viking sounding rocket. Viking rocket project begun. - . Nation: USA. Reaction Motors began design and development of rocket engine for the Navy Viking sounding rocket..
1949 May 3 - . 16:14 GMT - . Launch Site: White Sands. Launch Complex: White Sands LC33. Launch Pad: ALA1. Launch Vehicle: Viking sounding rocket. Viking 1 Aeronomy/Photography mission - . Nation: USA. Agency: USN. Apogee: 83 km (51 mi). Upper-air pressures and temperatures; earth photography research. Engine cut-out after 55 seconds. Launched at 0914 local time. Reached 80.5 km..
1949 September 6 - . 16:57 GMT - . Launch Site: White Sands. Launch Complex: White Sands LC33. Launch Pad: ALA1. Launch Vehicle: Viking sounding rocket. FAILURE: Failure. Viking 2 Aeronomy/Photography mission - . Nation: USA. Agency: USN. Apogee: 57 km (35 mi). Upper-air pressures and temperatures; earth photography research. Engine cut-out early after 49 seconds. . Launched at 0957 local time. Reached 52 km..
1950 February 9 - . 21:44 GMT - . Launch Site: White Sands. Launch Complex: White Sands LC33. Launch Pad: ALA1. Launch Vehicle: Viking sounding rocket. FAILURE: Veered off-course; engine cut-off at T+60 seconds..
Viking 3 Solar/Photography mission - . Nation: USA. Agency: USN. Apogee: 80 km (49 mi). Solar and cosmic radiation; pressure-temperature; earth photography research. Veered off-course; engine cut-off at T+60 seconds. Launched at 1444 local time. Reached 80.5 km..
1950 May 12 - . 03:08 GMT - . Launch Pad: Pacific Ocean, 0.2 N x 161.4 W. Launch Platform: AVM1. Launch Vehicle: Viking sounding rocket. Viking 4 Ionosphere/Aeronomy mission - . Nation: USA. Agency: USN. Apogee: 171 km (106 mi). Cosmic radiation; upper-air pressures and temperatures research. Ship launch. Launched at 1608 local time. Reached 169 km. NRL Viking No. 4 research rocket fired from the USS Norton Sound, near Jarvis Island in the Pacific (0.19 N 161.42 W), at the intersection of the geographic and geomagnetic equators. It set an altitude record for an American single-stage rocket and was the first firing of the Viking from shipboard. 1950 November 21 - . 17:18 GMT - . Launch Site: White Sands. Launch Complex: White Sands LC33. Launch Pad: ALA1. Launch Vehicle: Viking sounding rocket. Viking 5 Ionosphere-solar mission - . Nation: USA. Agency: USN. Apogee: 174 km (108 mi). Ionosphere; solar radiation; pressure-temperature; earth photography research. Launched at 1018 local time. Reached 175 km..
1950 December 12 - . 07:04 GMT - . Launch Site: White Sands. Launch Complex: White Sands LC33. Launch Pad: ALA1. Launch Vehicle: Viking sounding rocket. FAILURE: Failure. Viking 6 Ionosphere-solar mission - . Nation: USA. Agency: USN. Apogee: 64 km (39 mi). Upper-air pressure, density and composition; solar radiation; ionosphere research. Fin tore loose. Launched at 0004 local time. Reached 64.8 km..
1951 August 7 - . 18:00 GMT - . Launch Site: White Sands. Launch Complex: White Sands LC33. Launch Pad: ALA1. Launch Vehicle: Viking sounding rocket. Viking 7 Ionosphere-solar mission - . Nation: USA. Agency: USN. Apogee: 219 km (136 mi). Upper-air pressure, density; solar and cosmic radiation research. Launched at 1100 local time. Reached 219 km. A Navy Viking 7 rocket set an altitude record for single-stage rockets and reaching a speed of 6,600 kph. This was the highest flight of the original airframe design. 1952 June 6 - . 17:30 GMT - . Launch Site: White Sands. Launch Complex: White Sands LC33. Launch Pad: NLA. LV Family: Viking sounding rocket. Launch Vehicle: Viking Type 9. FAILURE: Failed on static firing. Accidentally launched during ground test..
Viking 8 test - . Nation: USA. Agency: USN. Apogee: 6.00 km (3.70 mi). Surge in thrust ripped rocket from the two bolts holding it to the pad and it flew horizontally across the launch site. Reached 6 km..
1952 December 15 - . 21:38 GMT - . Launch Site: White Sands. Launch Complex: White Sands LC33. Launch Pad: NLA. LV Family: Viking sounding rocket. Launch Vehicle: Viking Type 9. Viking 9 Solar mission - . Nation: USA. Agency: USN. Apogee: 217 km (134 mi). Solar and cosmic radiation; photography research. Ran out of fuel. Launched at 1438 local time. Reached 219 km..
1954 May 7 - . 17:00 GMT - . Launch Site: White Sands. Launch Complex: White Sands LC33. Launch Pad: NLA. LV Family: Viking sounding rocket. Launch Vehicle: Viking Type 9. Viking 10 Aeronomy/Ionosphere mission - . Nation: USA. Agency: USN. Apogee: 219 km (136 mi). Check power plant, controls, performance, and skin temperatures; upper-air pressure, density, winds, ionisation; cosmic rays; photography research. Launched at 1000 local time. Reached 219 km..
1954 May 24 - . 17:00 GMT - . Launch Site: White Sands. Launch Complex: White Sands LC33. Launch Pad: NLA. LV Family: Viking sounding rocket. Launch Vehicle: Viking Type 9. Viking 11 re-entry vehicle test flight - . Nation: USA. Agency: USN. Apogee: 254 km (157 mi). Re-entry nose-cone heat transfer experiment; photography research. Launched at 1000 local time. Reached 254 km. The rocket was turned by 180 degrees at apogee and the nose cone separated, diving back down into the atmosphere..
1955 February 4 - . 21:55 GMT - . Launch Site: White Sands. Launch Complex: White Sands LC33. Launch Pad: NLA. LV Family: Viking sounding rocket. Launch Vehicle: Viking Type 9. Viking 12 re-entry vehicle test flight - . Nation: USA. Agency: USN. Apogee: 231 km (143 mi). Re-entry nose-cone heat transfer experiment; photography; atmosphere research. Launched at 1455 local time. Reached 232 km..
1956 December 8 - . 06:03 GMT - . Launch Site: Cape Canaveral. Launch Complex: Cape Canaveral LC18A. Launch Pad: LC18A. LV Family: Viking sounding rocket. Launch Vehicle: Viking Type 9. Vanguard TV0 test - . Nation: USA. Agency: USN. Apogee: 204 km (126 mi). First Vanguard test; re-entry studies; not a vertical firing. Launched at 0103 local time. 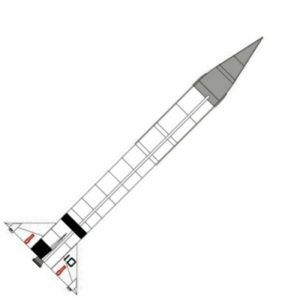 First test rocket in the IGY-U.S. satellite program, a one-stage NRL Viking, attained an altitude of 176 km and a speed of 6,400 kph. Viking No. 13 carried a "minitrack" radio transmitter which was ejected at 80 km and tracked. 1957 May 1 - . 06:29 GMT - . Launch Site: Cape Canaveral. Launch Complex: Cape Canaveral LC18A. Launch Pad: LC18A. LV Family: Viking sounding rocket. Launch Vehicle: Viking Type 9. Vanguard TV1 test - . Nation: USA. Agency: USN. Apogee: 195 km (121 mi). Test of Vanguard third-stage separation and firing at altitude.Launched at 0129 local time..